I’d like to share a little of what happened during 2014. I’ve been living in the US for two years now. Time flies! This year I learned about two programming languages, R and Emacs Lisp. I’m still focusing on learning Haskell and functional programming as a long term goal. I still didn’t finish the Real World Haskell book. I’ve completed three Coursera classes: Machine Learning, Mining Massive Data Sets and R Programming. 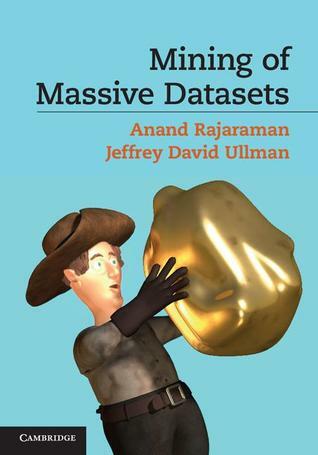 Mining Massive Data Sets was by far the hardest and the most interesting. I learned a lot of new algorithms and paradigms. I blogged about one of those, the Page Rank Algorithm, but I also plan to study others like bloom filters in more depth. I also wrote about R Programming and Machine Learning classes. I’ve started studying distributed programming, with the Paxos algorithm. I finished reading Gödel, Escher and Bach from Douglas Hofstadter, which I thought was fantastic. It got me interested in Biology and Music Theory and I hope one day start studying them. The most popular post of 2014 is still Skip Lists in Python from 2012 (1.5k views). From this year, it was An Introduction to the Parsec library (900 views). I tried to keep the frequency of monthly posts, but I missed March and September. The blog has 2 years and 24 posts. Books: I want to read Code Complete, which is supposed to be a light read. For more technical books, I want to finish the Real World Haskell book and start Purely Functional Data Structures. If time allows it, I will try reading a book about distributed programming. I will still try to keep posting once a month. Things I wish to do is writing more code – I want to start more projects and contribute to open source – and also read more code: I often read books and blog posts, but rarely read open source code. My idea is to also post about code that I read.